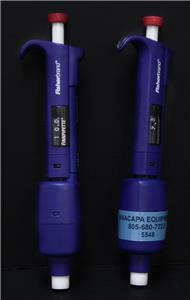 Condition Details: Both items lightly used, unable to test for accuracy/calibration. All moving parts appear to be in working order. 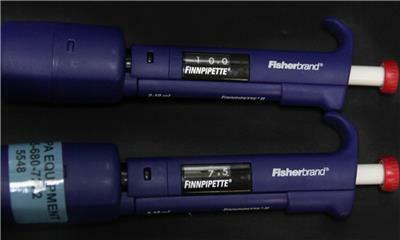 This is a lot of two lightly used Fisherbrand pipet systems. 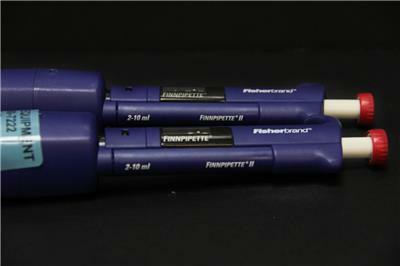 These units are adjustable from 2-10mL. The adjustments are made via the push button top piece by turning it clockwise or counterclockwise. There is a read out for specific mL on the side of the devices. See images for full description. 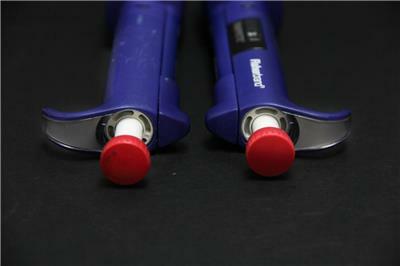 Description: This is a lot of two lightly used Fisherbrand pipet systems. 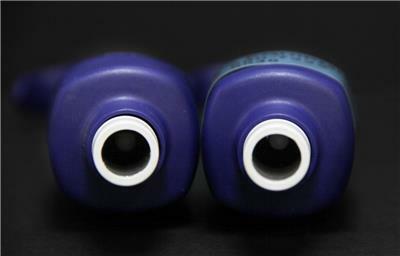 These units are adjustable from 2-10mL. The adjustments are made via the push button top piece by turning it clockwise or counterclockwise. There is a read out for specific mL on the side of the devices. See images for full description. Defects: Both items lightly used, unable to test for accuracy/calibration. All moving parts appear to be in working order.